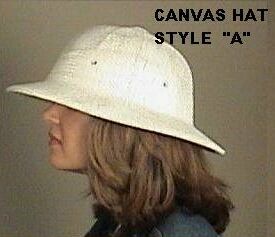 This is our Fabric or Canvas hat. Traditional in look and feel, this is the “old style” bee hat which has been in use for many years. Though comfortable and cooler during the warm season, it won’t last as long as the newer Poly design.